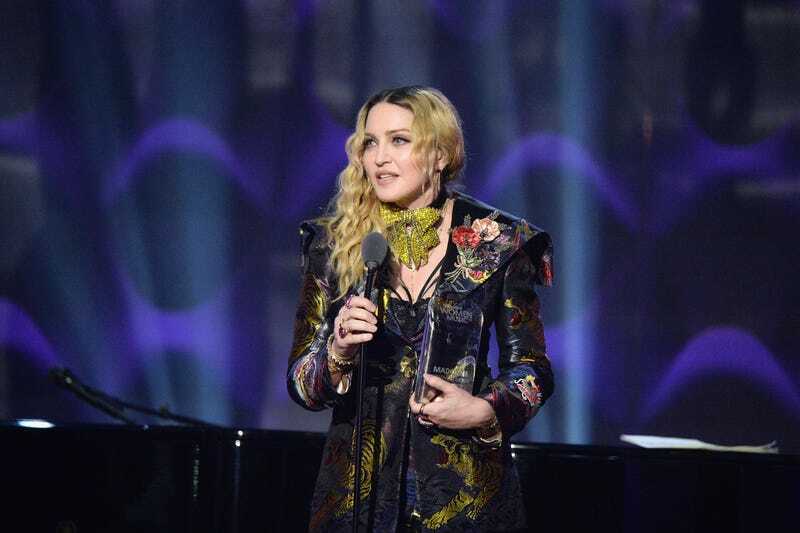 On Friday, Madonna, the highest-grossing female touring artist of all time, accepted her Woman of the Year award at the Billboard Women in Music 2016 event with a sobering, honest speech. Madonna told the audience at the award show that she’d endured constant misogyny and abuse for decades and spoke again about being raped on a New York City rooftop at the start of her career (Madonna first spoke publicly about the attack in 2013). Madonna also discussed wanting to be like David Bowie and not wanting to be like Camille Paglia. I’m on board with the entire thing. It’s kind of strange to go to someone’s birthday party dressed as them, even if you already impersonated them for Halloween, and had part of the costume on hand, and looked hot in it. But, apparently, Christina Aguilera specifically requested that Kylie Jenner resurrect her “Drrty” look for Aguilera’s 36th birthday party. Go figure. Not to be outdone by…herself, Aguilera went as furry cotton candy splendor, very Gatsby 2016. In SNL’s cold open this week, Breaking Bad’s Walter White (Bryan Cranston) was introduced as Trump’s new DEA chief, much to Kellyanne Conway’s (Kate McKinnon) delight, and “Jake Tapper”’s boringly incredulous dismay.